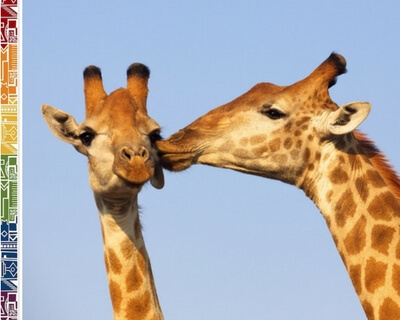 More than 70 national and international airlines offer regular flights to South Africa. South Africa has ten major airports which are serviced by domestic and international airlines among them the international airlines such as Emirates, Lufthansa, Air France, Air Singapore and many others service the South Africa route now with their fleet of A380 carriers. 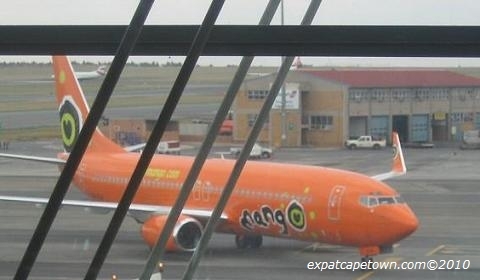 Most of the international flights to the country arrive at O R Tambo International Airport in Johannesburg (JNB). 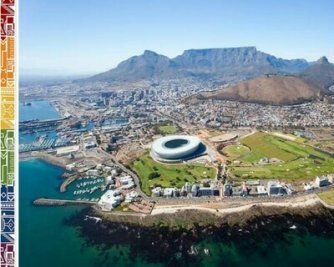 The two other major airports used for intercontinental flights to South Africa are Cape Town International Airport (CPT) and King Shaka International Airport in Durban (DUR). Our preferred booking site is definitely Travelstart.co.za who always excel in service and their price comparisons are reliable and spot-on. Booking through them is easy as you will find out. O R Tambo International Airport in Johannesburg is the most popular and most busy air-travel destination in southern Africa. It is named 'Africa’s leading airport' in the World Travel Awards 2016. Cape Town International Airport is the second largest air-traffic hub in South Africa and is used by some international airlines as their main destination for direct flights to the country. 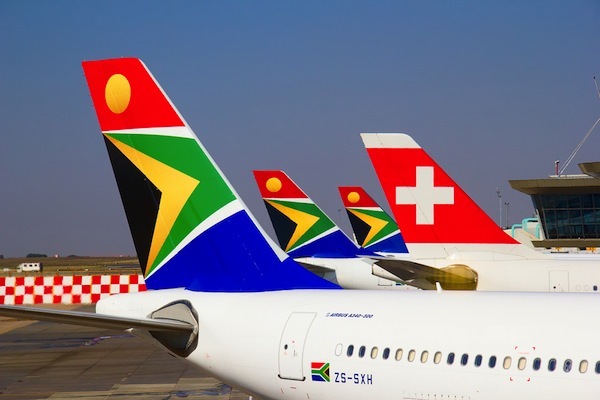 Many of these flights are offered as code-share flights with South African Airlines (SAA) which was leading airline in Africa 2015 according to the World Travel Awards. SAA is a member of the Star Alliance group of international airlines, so will get points in the Star Alliance rewards program for your flights with South African Airlines. 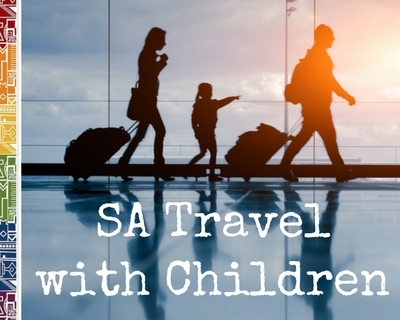 IMPORTANT: Must read if travelling with children! Remember that when you book your international flight going via Johannesburg to Cape Town, you need to claim your baggage at the carrousel at O R Tambo and check the baggage in again at the respective airlines counter in the domestic departure hall. Often you will be told that your baggage is routed through automatically on check-in at the start of your journey abroad, but you will still have to go to baggage claim when you arrive in Johannesburg and taking a connecting flight. You need to check out your bags, go through customs at O R Tambo and check your bags in again for your onward domestic travel. Please note that since July 2015, all travelling minors need to bring an unabridged birth certificate when travelling to South Africa. Read the explanations in our article here.